I bought my wife Cara a one day mission at Stiletto Spy School for her birthday. 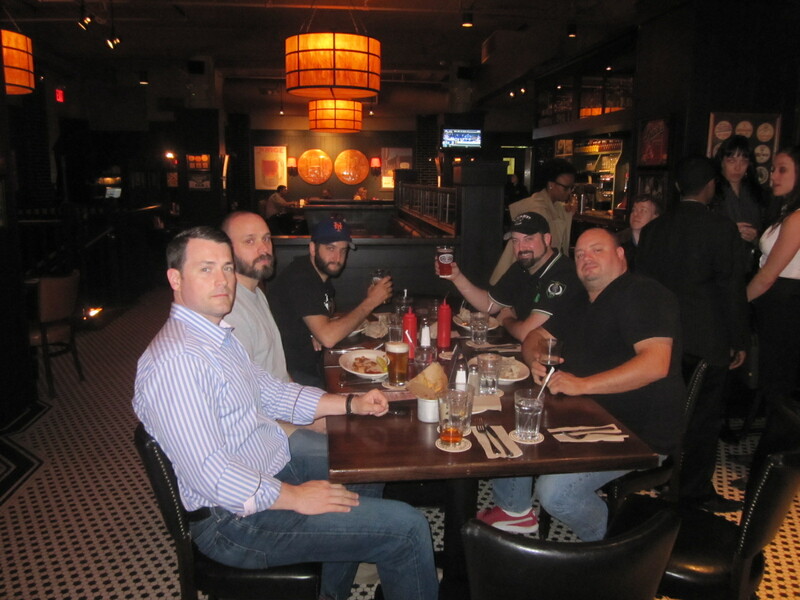 While she was off learning deception detection and knife skills with her friend Dawn, I wanted to gather up the fellas for a Bro’s Burger Brunch. While the cats away, the dogs will have a Burgerriffic day. The only thing to decide was where to eat. 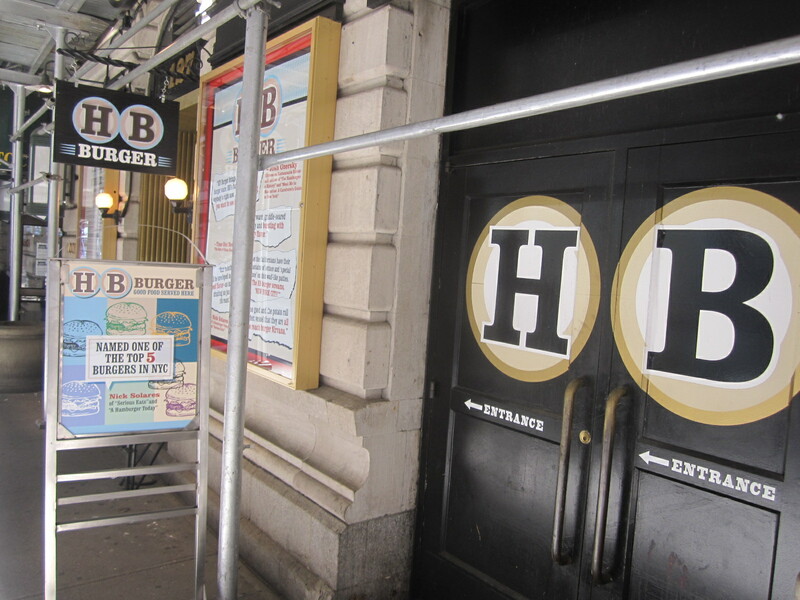 If you haven’t tried it—may I recommend the Prime burger at HB Burger. 50% dry aged prime and 50% beef rib on brioche. How the hell could I possibly say no?!?! 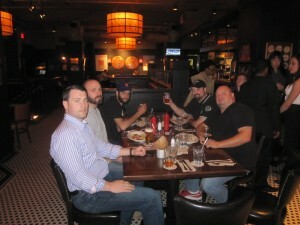 A few moments later an email went out to the Burger Bros from the Wing-Off crew and a Bro’s Burger Brunch was planned. I started sippin off on a few pints of the delicious, sessionable Heartland Kolsch, perfect for afternoon drinking. When Doug and Jason from Wing-Off are involved in a meal, it’s a must that Hot Wings be consumed. 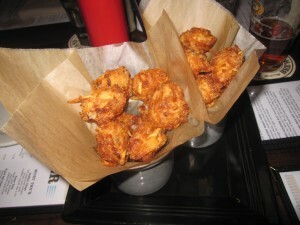 So we started with those and a couple orders of the amazing Heartland Tots. 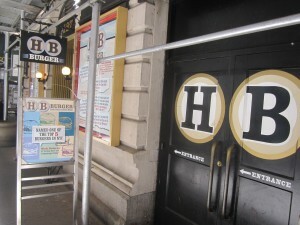 I’ve reviewed them before, so take a look at my last HB Burger review for more on the Tots. Since then, Heartland has put a lot of dedication into their Burger and by using meat from Pat LaFrieda, they’ve cooked up quite the reputation. For today’s brunch, I ordered the Prime Burger on a Whole Wheat Bun with American Cheese, Lettuce and Sauteed Onions. I’d like to give Jon and everyone at Heartland a massive pat on the back. 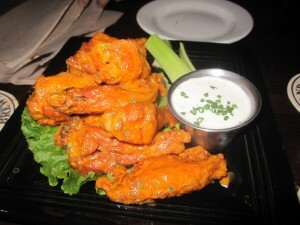 It might be easy to overlook the Heartland as a tourist trap and therefore fallen to the toils of bad, mass produced food because of their location near Times Square but allow me to confirm, it is most certainly NOT. 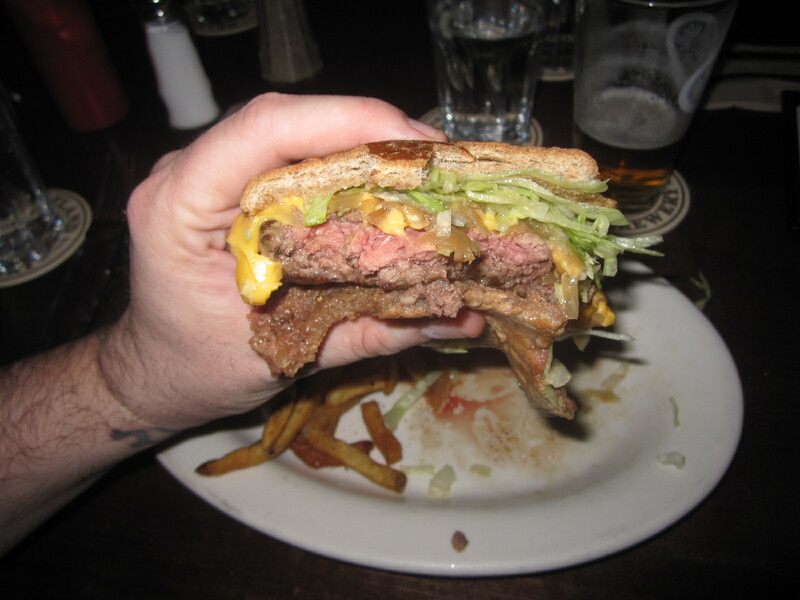 The HB Prime Burger is juicy, delicious, perfectly cooked, savory, full of real Steak flavor and all around awesome. 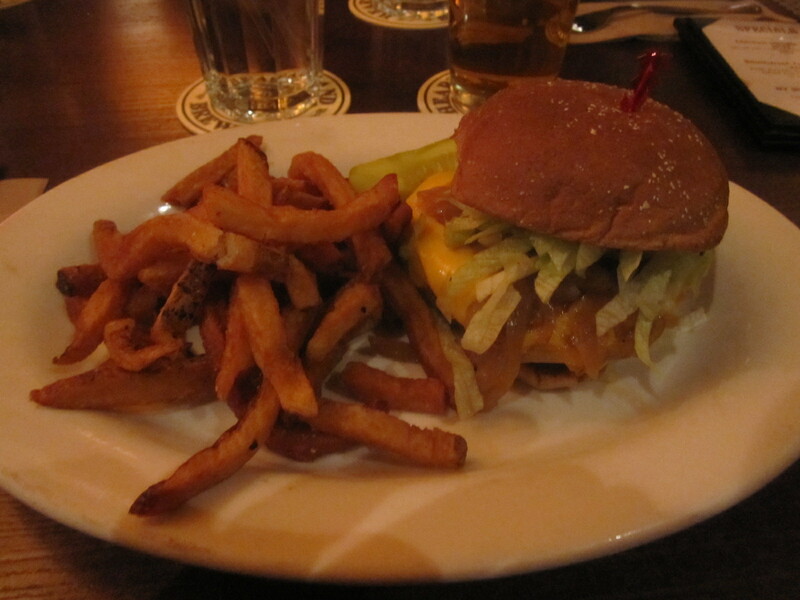 With this Burger, they have rightfully earned a bright golden star on the New York Burger Map. 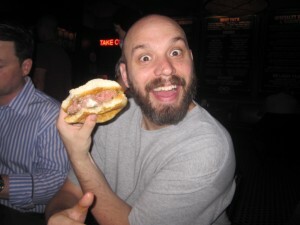 This entry was posted in Beer, Best Burger in New York, Burgers, Gourmet Burgers, National Hamburger Month, New York and tagged burger, cheese, ciancio, conquest, french, fries, great, hamburger, HB, HB burger, heartland, heartland brewery, lafrieda, national hamburger month, new york, ny, nyc, prime burger, rev, review, the, the rev meter for social community, times square. Bookmark the permalink. had the “buffalo style beef burger” and it was amazing… thinking about going back already.